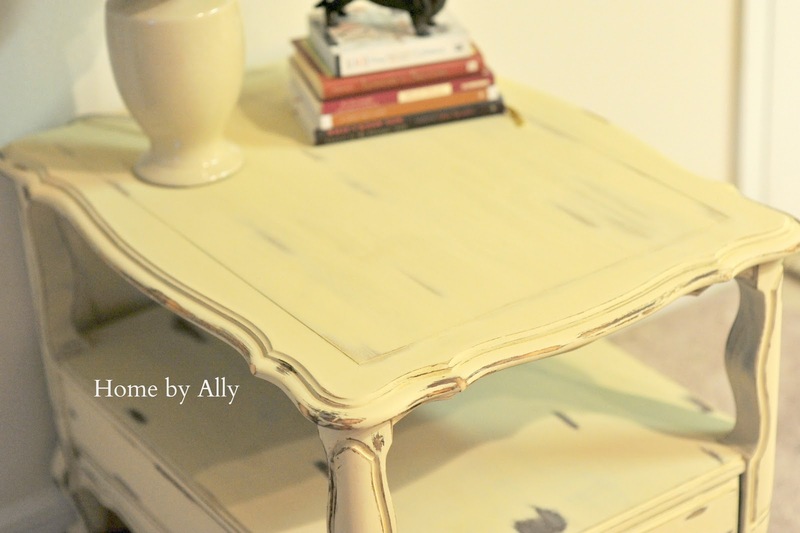 Ok, so enough of the "Ally" time...have you ever heard of Chalk Paint? 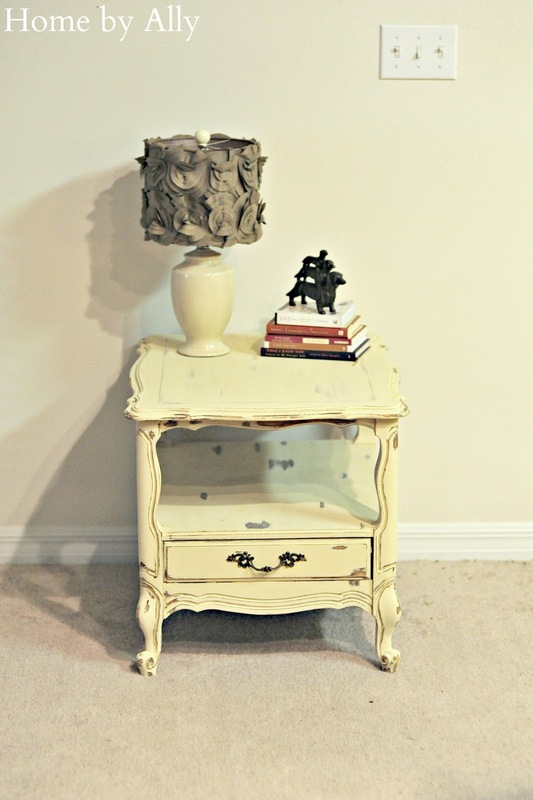 How about milk paint? It's coming back into style just as quickly as chalk paint came and I have to admit... I'm already sold. 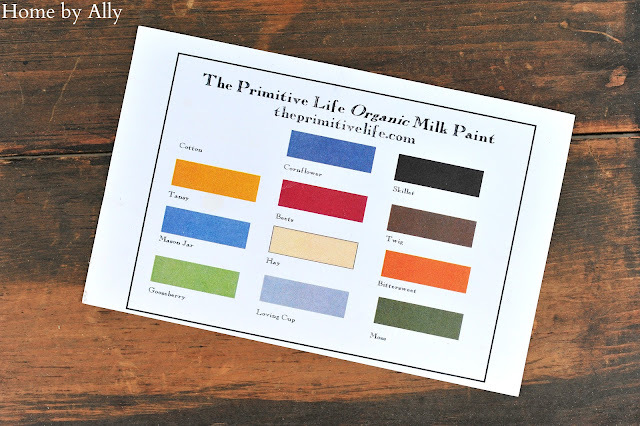 The Primitive Life "Organic Milk Paint" contacted me a few weeks ago and asked me if I would try a sample of their awesome organize milk paint and blog about how I felt when I used it. 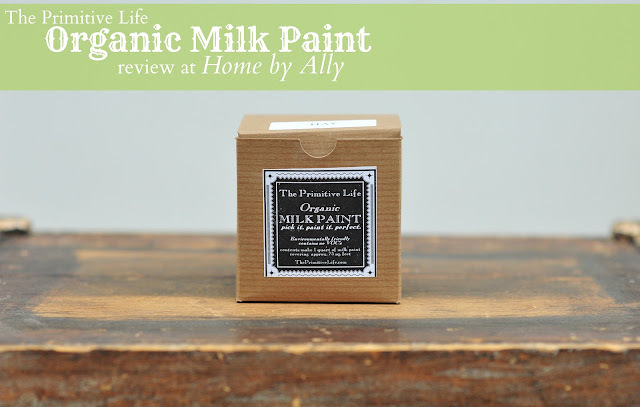 A review and I get free milk paint? Um, YES! I think I knew I would love it before I even tried it. Dawn and her husband, Britt own a primitive country store called "When Pigs Fly Again" in Mount Dora, Florida. You can find their Facebook page here!They explained that they were looking for a paint line to carry in their store. They found that many of the popular lines did not cater to their "country" customers. They began researching many, many paint manufacturers and chose one that has been making milk paint for over 50 years! They were impressed with the "green" aspect of this line and the fact that it is non toxic. Most importantly, it is made in the USA and that also meant just as much to these two! 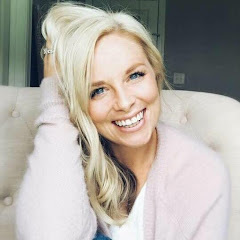 Dawn explained that Miss Mustard Seed offers a new milk paint product but it is made in Canada and Annie Sloan Chalk Paint is made in England. They are very proud of their line and frequently use it themselves and in their store. They are eager and willing to share this amazing product with new friends all over! Dawn also explained that her favorite colors are Cotton, Cornflower and Twig. She said she really cannot pick just one! So, I was SUPER EXCITED like a kid in the candy store when I opened the package and I saw the milk paint along with some grew smelling fall scents. They have a large selections of colors which are all to die for. I need to try them all I think ;-) I choose Hay because we all know I love a crisp, clean look. It reminds me of a butterscotch yellow mixed with a soft beige. Perfect. Ok! So, here's my test subject below. 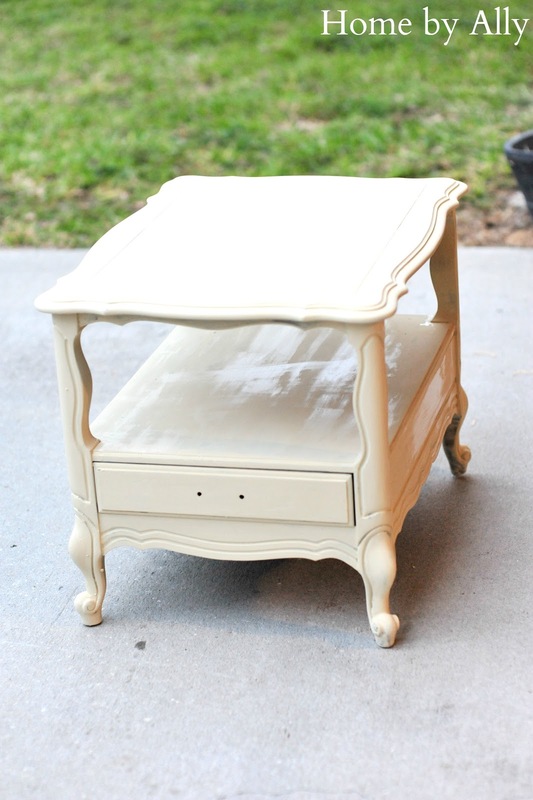 This is an adorable side table originally built in Lenior, North Carolina. It has wonderful bones and I knew it would be just perfect for this project. It would add the perfect little elegant touch to any space...whether it be your living room or a bedside table. I followed Dawns directions and mixed the organic milk paint just as the directions in the box say. It will be somewhat thick and this is a good thing :) A little goes a long way so you don't have to stick that whole brush in to get the coverage you are looking for! I recommend as does Dawn, a good brush when painting furniture and when using their organic milk paint. Also... guess what, you don't need primer with this paint! Yep...the coverage is incredible! Seriously, how could this NOT go well? 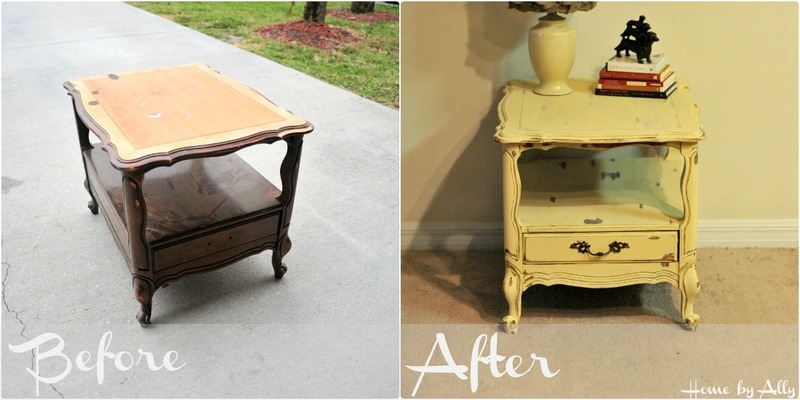 You had a gorgeous piece of furniture and even better paint. Seriously, are you already sold I am. So, the paint below was still drying but I was REALLY excited and wanted to snap a decent picture for y'all before it got dark here in Florida! Isn't she BEAUTIFUL? And here is the finished product below! I am in LOVE with the results and I will most definitely be a returning customer to The Primitive Life's "Organic Milk Paint." 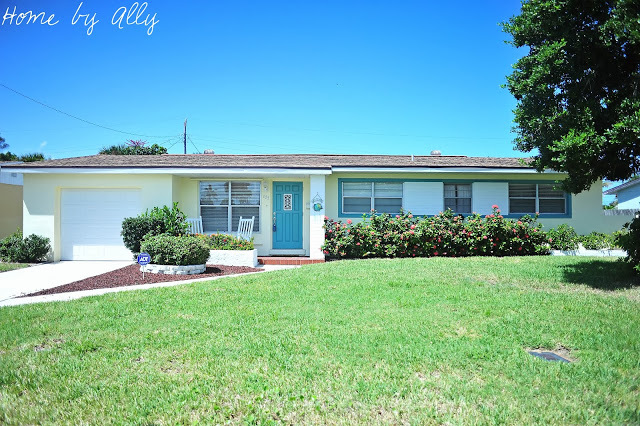 I apologize for the bad quality photos, it is now dark here in Florida and I was just too excited about this makeover not to blog about it tonight! Look at that color? Isn't it beautiful! And I also noticed when I went to distress this particular piece, the paint actually made it a lot EASIER for me to distress it. 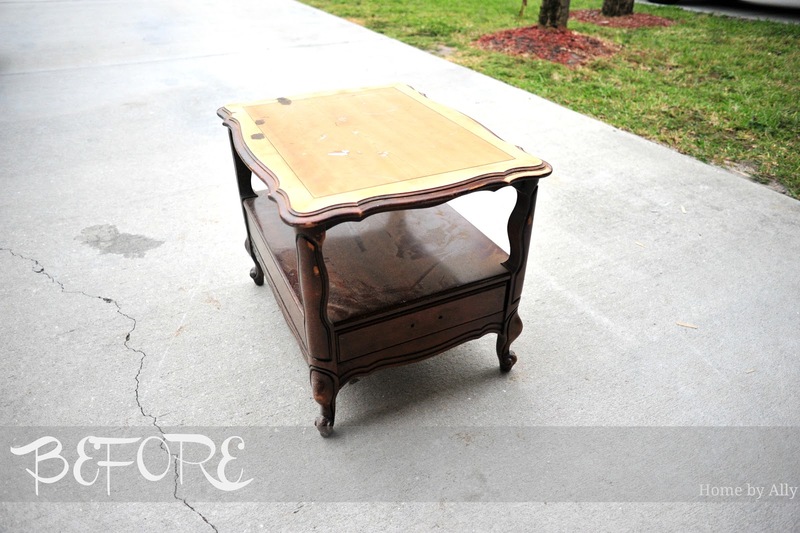 And I LOVE that...if you have ever distressed a piece of furniture, you know why this is awesome! Just love it! And just for fun, look below for a fun before and after. It is amazing what good paint can do. I am amazed and more than anything impressed with this organic milk paint. What do you think? So, all in all... here are my final thoughts on The Primitive's Life "Organic Milk Paint." -Simple instructions make for a fool proof system. - Great coverage, no need for any primer. This was only one coat! - Easy to distress & customize. - Cute colors for lots of different types of projects. Remember to "like" "When Pigs Fly Again"on Facebook here and the actual "The Primitive Life- Organic Milk Paint" Facebook page here! I think this is an outstanding product and I would highly recommend it to a seasoned furniture painter or a first timer. Remember to "like" Home by Ally on Facebook here and remember also to click "follow" here on the blog to the ride side of the screen! 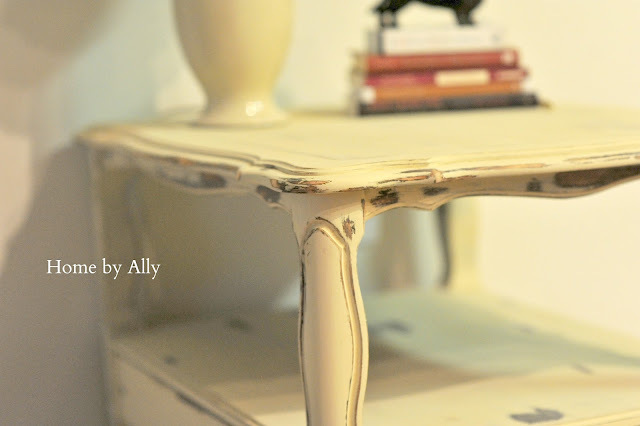 This lovely little side table will be available for purchase on my Home by Ally Facebook page. 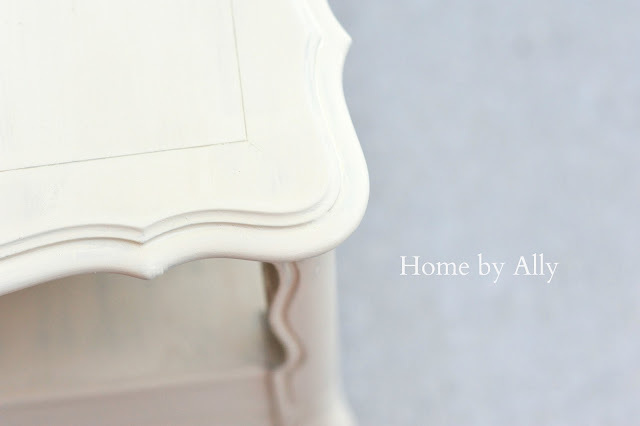 I hope y'all enjoyed my review on this amazing organic milk paint!